The fastest-growing sector of the car market at the moment is the compact SUV, with buyers lapping up almost every new model that is launched. In a very short space of time, we’ve seen the Kia Stonic, Hyundai Kona, Seat Arona and the Volkswagen T-Roc all coming on to the market, to join the likes of the Renault Captur, Peugeot 2008, Ford EcoSport and the first car in the segment, the Nissan Juke. It won’t come as much to surprise that the brand behind hardy perennials such as the Golf, Polo and Passat has hit the ground running with its fist compact SUV. The T-Roc takes many of the elements we expect to find in a Volkswagen, but adds a more youth-focused twist in its design, which is a lot less conservative in terms of design than most of the cars in the company’s model line-up. The exterior design is a blend of rugged off-roading elements, sharp lines and sporty features that works really well: indeed, in some colour combinations (there are contrast-colour roof choices), it feels like a real departure for VW. Inside, normal service is resumed in most respects, with a cabin that is thoughtfully and efficiently laid out, with decent materials (although some of the plastics are not what you’d expect in a Volkswagen) and plenty of space. There’s also the useful technology that has previously appeared in models such as the Polo, with an 8-inch central touchscreen augmented by an optional 10.3-inch Active Info display, which is not only useful and practical, but also encourages greater safety, as information about the car, navigation, etc, is directly in the driver’s eyeline. The T-Roc, as befits a car that shares its platform with so many highly accomplished cars, performs very well on the road. The handling is well resolved, with accurate steering, good grip levels and an ability to resist body roll that is laudable. We also rate the Seat Arona, which shares many important components with the T-Roc, and it’s quite hard to choose between the two, dynamically speaking: neither has the involvement of a sports car, but they are both enjoyable to drive, with an admirable consistency and feeling of stability. The T-Roc’s ride is also good, coping well with urban speed humps, cracked and broken surfaces, and potholes to ensure the cabin’s occupants are not unduly disturbed. There’s also a well-thought-out range of engines, which led (at launch) with petrol units that are likely to be the most popular choices. In a crowded market, Volkswagen is a name that buyers have come to trust – and in the T-Roc, there’s little to suggest that it will be any less popular than the Polo or Golf in coming years (there are even plans for a convertible version in the future). Yes, there are lots of rivals – and the Arona offers strong competition – but the T-Roc is an appealing proposition that many buyers will, with good reason, opt for. Buyers had to wait for a few months after the initial launch for the first diesel to become available, with the 2.0 TDI returning 56.5mpg and CO2 emissions of 132g/km. While the 1.0 TSI is highly usable, the four-cylinder 1.5 offers the best combination of fuel economy and pace (53.3mpg and 8.3 seconds for 0-62mph). With 190PS on tap, the 2.0-litre petrol variant has the quickest 0-62mph, at 7.3 seconds. There are three petrol engines and one diesel for buyers to choose from. The petrol engines – designated TSI – are 1.0, 1.5 and 2.0 litre units, with power ratings of 115PS, 150PS and 190PS, respectively. The 2.0-litre TDI engine has a 150PS output. Volkswagen offers three trim levels – SE, Design and SEL, which increase the amount of standard-fit equipment as the price increases. There are two transmissions to choose from, a six-speed manual (the only option for the 1.0 TSI) and a seven-speed dual-clutch DSG automatic (which is the only choice for the 2.0 TSI. It’s anticipated that most T-Roc buyers will opt for petrol engines, so there are three alternatives, plus a diesel option. The entry-level model is a 1.0-litre, three-cylinder petrol that is, on paper, a useable combination of economy and performance (the output is 115PS), returning 55.4mpg on the combined cycle (although three-cylinder engines routinely return lower figures in real-world conditions), emitting 117g/km and managing 0-62mph in 10.1 seconds. We found it to be very easy to live with and flexible enough to take urban, rural and highway driving in its stride. The 150 PS 1.5 TSI Evo engine has recently replaced the 1.4 unit that has served VW Group cars well in recent years. This engine is as flexible as its predecessor, which is one of the best all-rounders to be currently found in mass-market cars. With a fuel economy figure of 53.3mpg (which in real-world driving is likely to be better than the 1.0 TSI, thanks to engine technology that shuts down two of the four cylinders when not needed) and a 0-62mph time of 8.3 seconds, it’s the pick of the range (although in front-wheel-drive guise, rather than with 4Motion all-wheel drive). The 190 PS 2.0 TSI engine – which is only available with 4Motion and the seven-speed DSG dual-clutch automatic gearbox – is, understandably, quicker, dispatching the 0-62mph acceleration test in 7.2 seconds. The inevitable penalty comes with its 41.5mpg fuel consumption and 155g/km of CO2. After initial launch, Volkswagen introduced the 2.0 TDI, first of two diesel engines (the other will be a 1.6-litre TDI unit). It will be no surprise that it has the best fuel economy figure, at 56.5mpg and the additional torque generated by a diesel engine means that pace doesn’t suffer unduly, recording an 8.7-second 0-62mph time. There are just three trim levels for T-Roc buyers to choose from. The base SE level is quite well equipped, with features including 17-inch alloys, roof rails, dual-zone climate control, 8-inch touchscreen, Bluetooth, DAB, smartphone connectivity (including Apple CarPlay and Android Auto), adaptive cruise control, lane assist and parking sensors. Stepping up to Design adds some exterior styling features, interior ambient lighting and a driver alert system to warn of the danger of fatigue. The range-topping SEL adds 18-inch alloys, LED lights, front sports seats, navigation, access to the Car-Net suite of online services (including eCall, which connects the car with a call centre in the event of an emergency, such as a collision), an Active Info Display that presents a range of information in front of the driver, and four preset driving modes. The T-Roc is a new car, so it was launched too late to be considered for the 2018 Driver Power survey. 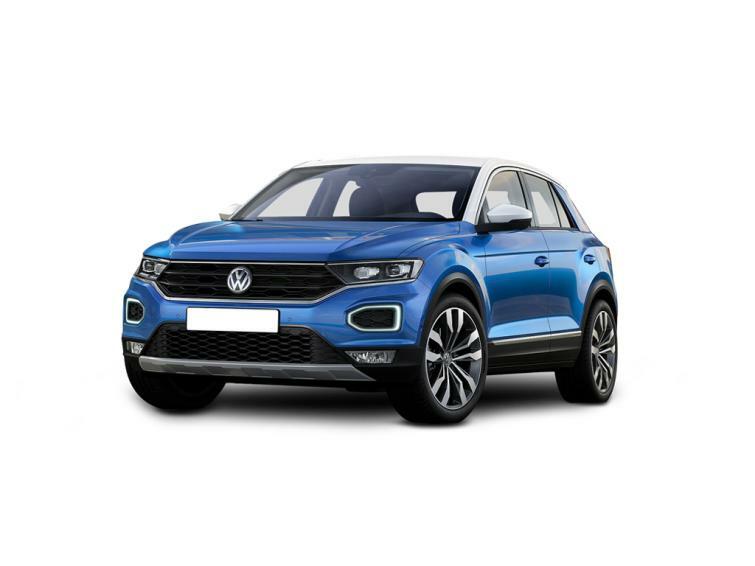 However, the T-Roc is based on the same platform as a number of Volkswagen Group products such as the VW Golf, Seat Ateca, VW Tiguan and Skoda Octavia, all of which appear in the upper reaches of the best cars to own. Volkswagen itself appears in mid-table of the most recent list of most reliable manufacturers. In terms of warranty, the T-Roc is covered for three years (the retailer takes over for year three) or 60,000 miles, which is standard for the industry, but less than the Hyundai i30’s five years and the Kia Ceed’s seven years. The T-Roc only appeared in the UK a few months before this buyers’ guide was written, so it's still very much early days for the model and used examples will take some time to filter on to the market. Discounts for new cars on BuyaCar are also very low (just over £600), which is one indication that used values could hold up well and make bargains hard to come by. However, buying nearly-new does mean you can get your hands on one now, rather than waiting on a waiting list.